JPR has gathered all our coverage of Election 2018 here, in one place. 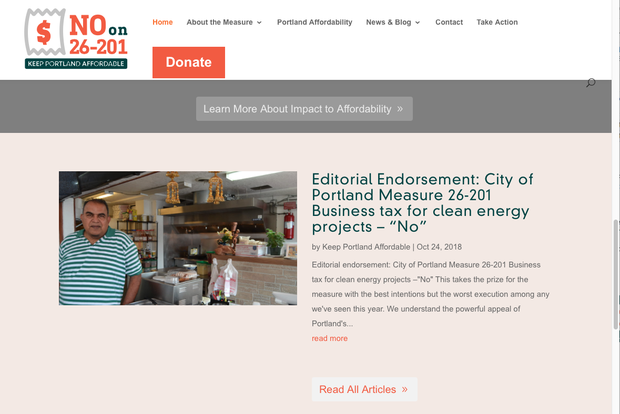 So, if you missed our stories about any of the candidates or ballot measures you'll be voting on, you can catch up, refresh your memory or delve a little deeper to make your final decision. Grants Pass Mayor Darin Fowler is on his way to the Josephine County Board of Commissioners, winning Tuesday's election over Ron Smith. Fowler will replace Simon Hare, who did not run again. The November vote was a runoff after the May primary failed to produce a majority for any of the candidates in a crowded field. Fowler piled up 53% of the voteto 46% for Smith. Josephine County Sheriff Dave Daniel cruised to reelection, crushing challenger Jonathan Knapp, 71% to 28%. Jackson County Commissioners Rick Dyer and Colleen Roberts, both Republicans, appeared to win second terms in office with Tuesday's election. And incumbent Sheriff Nathan Sickler won election to the post he was appointed to in early 2017. 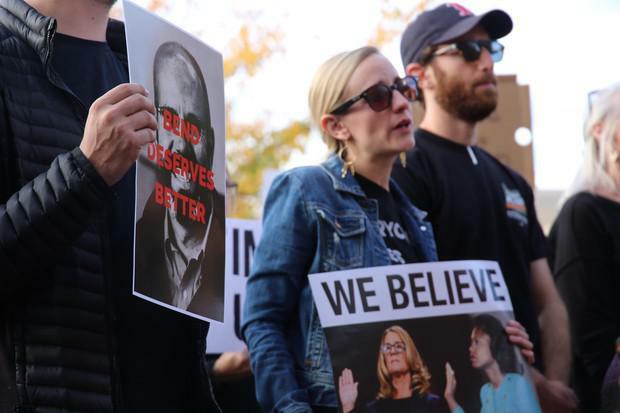 All faced spirited opposition. Dyer drew Democrat Amy Thuren, a former Red Cross executive and current director of The Valley School in Medford. Vote totals Tuesday night showed Dyer with 53% of the vote to Thuren's 44%. Libertarian Frank Brannen pulled 3%. Roberts, a first-termer like Dyer, faced off against Lanita Witt, a retired MD and the co-owner of Willow-Witt Ranch. Roberts gathered more votes, 52% to 46% for Witt. Libertarian Edward Stanton also ran and drew 2% support. A couple of new faces will represent the region in the Oregon Legislature next year. But only because the faces belong to people running for open seats. Voters re-elected incumbents on the ballot in both houses. 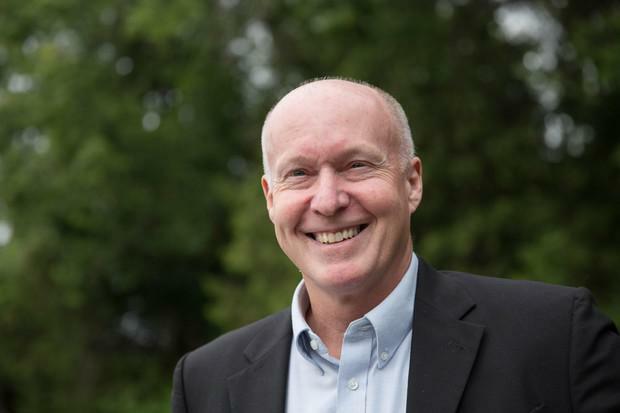 The exceptions were Senate District Three (see separate story here), won by Jeff Golden, D-Ashland, and House District Six, won by Kim Wallan, R-Medford. The house district gets a new legislator because of the retirement of longtime Representative Sal Esquivel, who chose not to run again. Jeff Mapes and callers with Geoffrey Riley. The mid-term election, anticipated for two years, is finally over on Wednesday morning. There was a lot for voters to consider, everything from immigration to school funding, governors to city council members. So now let's talk about what happened. We follow the election with the return of our "Two Cents Day" segment... numbers and analysis, to be sure, but also a chance for you to vent on the results and how they do or do not match your hopes and expectations. Put your voice out there--literally--with a call to 800-838-3760 during the segment, or email jx@jeffnet.org. California state Sen. Kevin de León is a day away from knowing if his fight against the “establishment” campaign has paid off in his run to become California's next U.S. Senator. State and county officials say they have buttressed the state’s voting systems against intruders. Democratic Gov. 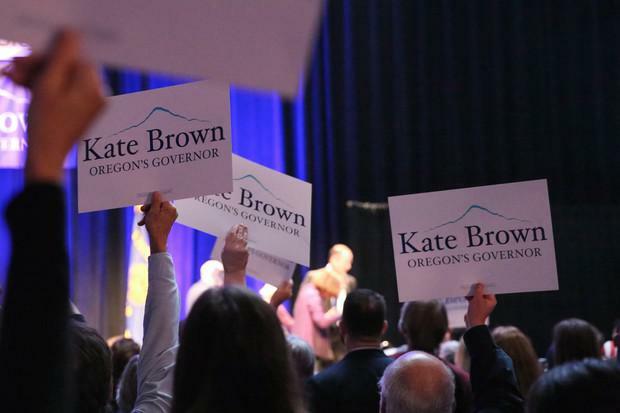 Kate Brown and Republican challenger Knute Buehler, locked in the most expensive gubernatorial race in Oregon history, are pouring most of their money into a form of campaigning that hasn’t changed much in decades: 30-second TV ads. Republican John Cox and Democrat Gavin Newsom have been barnstorming the state for much of the past week — often joining candidates in California’s competitive congressional races that could decide control of the House of Representatives. Republican John Cox and Democrat Gavin Newsom make their final campaign stops Monday in the race for California governor. After years of economic boom driven by rapid tech growth, voters in the San Francisco Bay Area will decide this November if big corporations should be taxed to help pay for issues that have only gotten worse as business has thrived: housing and transportation. The campaigns are an acknowledgment of the strain that rapid job growth has levied on public transportation and housing affordability in many cities. Business groups who oppose the tax hikes argue the measures would give companies a reason to expand elsewhere, or even worse, leave the region altogether. The guard asked for IDs, and scanned one person's driver’s license with a handheld device before allowing the group — all people of color — to proceed to the elevators. 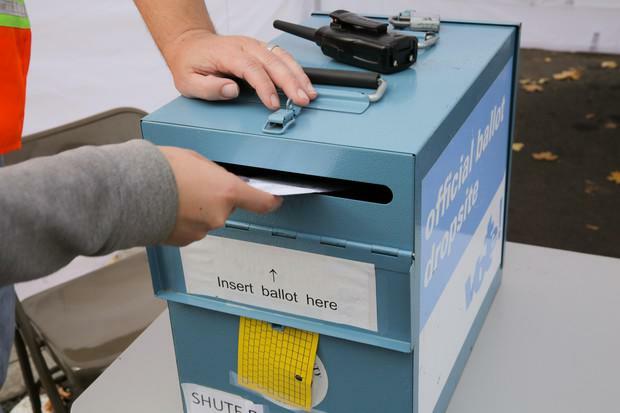 Californians will vote on 11 statewide initiatives when they go to the polls Tuesday. The state has one of the strongest direct democracies in the world — established more than a century ago in response to powerful railroad interests. But in recent decades the initiative process has come to be dominated by the very forces it was invented to avoid: special interests with lots of money. 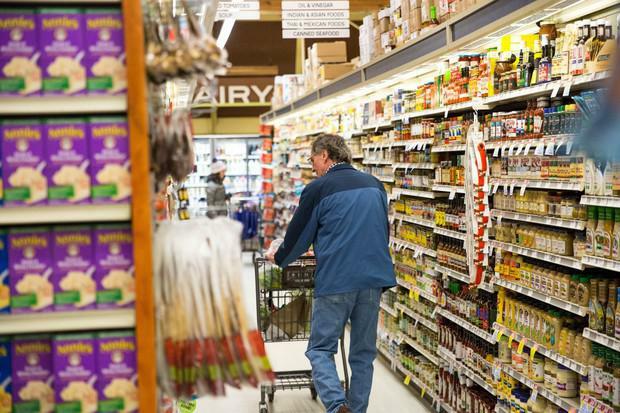 A chief petitioner behind a ballot measure to ban grocery taxes in Oregon now says he wishes he never backed the controversial proposal in the first place. 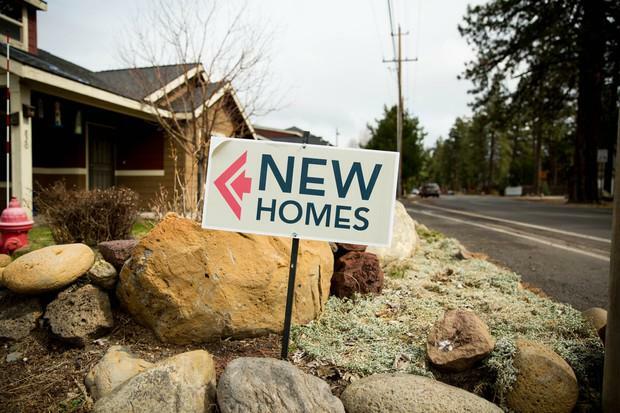 The Oregon secretary of state's office has thrown out a complaint filed against opponents of the Portland gross receipts tax measure. 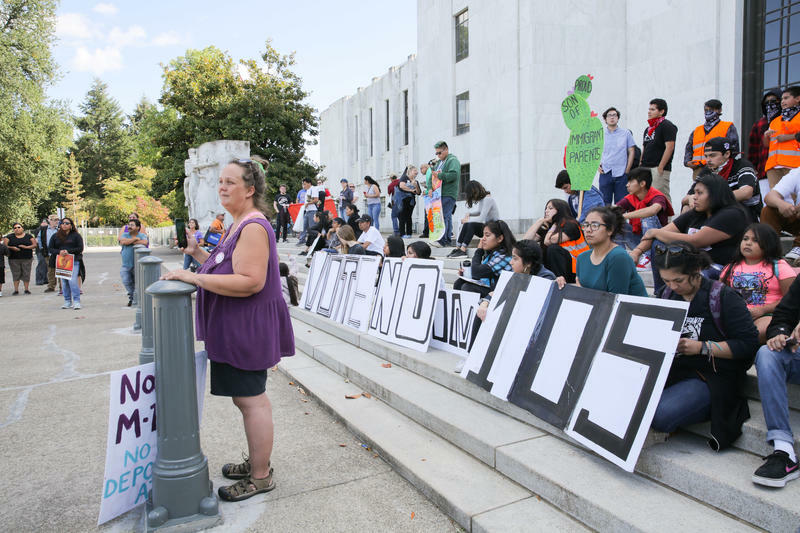 Oregon's sanctuary law is one of the oldest in the country. It was signed into law in July 1987 — more than 31 years ago. "Both Republicans and Democrats voted for the bill," says Rocky Barilla, the Democrat and former state representative behind the law. "It was really not controversial." But half the state's sheriffs — largely from more conservative, rural parts of the state — want to do away with the law. Doctors Want To Prescribe Nature To Communities Of Color. 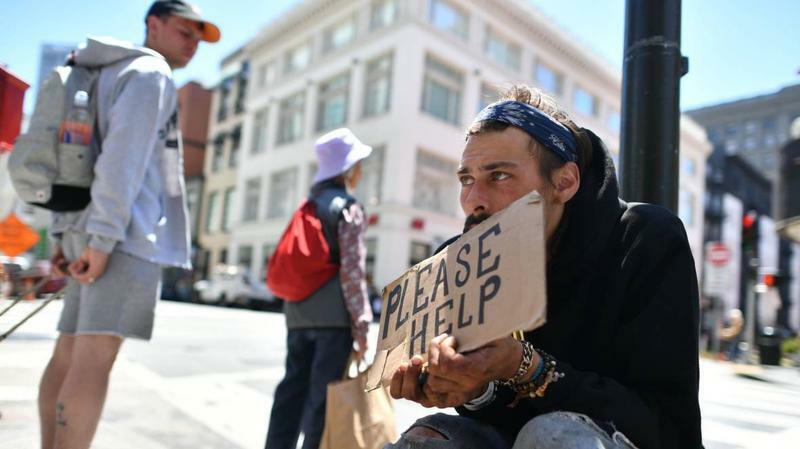 Here's How California Might Help. Angelica Ramón cajoles her 3-year-old, Samiel, in Spanish as they trek up a hill at Sugarloaf Ridge State Park. He’s a dedicated — but distracted — hiker, often pausing to pick up a leaf or stumbling over roots while staring up at the sky. 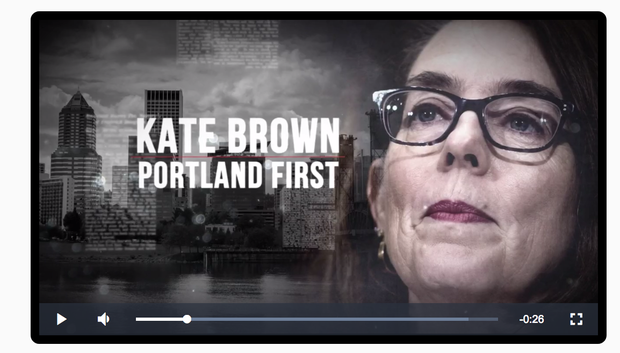 Patrick Starnes, the Independent Party of Oregon's candidate for governor, dropped an interesting new campaign message a week from election day: Vote for Kate Brown.